Disclaimer: I am not an expert in car seats, or child psychology, or human development. I am a mom, an educator and an avid researcher. I have a passion for reading about child development, and learning as much as I can from interdisciplinary perspectives to help support my son's physical and emotional growth and change. I am not proclaiming to be an expert in this area, but am sharing what I have learned about car seat conflicts, and providing a few strategies and ideas in a summarized format to hopefully help some other parents who experiencing the same challenges! Since our little guy was born, the issue of using the car seat has been a bit of a roller coaster, starting off well, and yo-yo-ing up and down as time has progressed. There was a period between three to five months of age when he really despised the car seat. Those months happened to correspond with the summer months, and we largely tried to avoid going anywhere with him, or tried to have naps correspond with traveling, so that we could avoid having him cry, which inevitably escalated to hysteria with choking fits. And as much as we said that if our kid was upset with the car seat before we were parents, once reality set in, we were desperate to find a solution to stop the heart breaking cries. 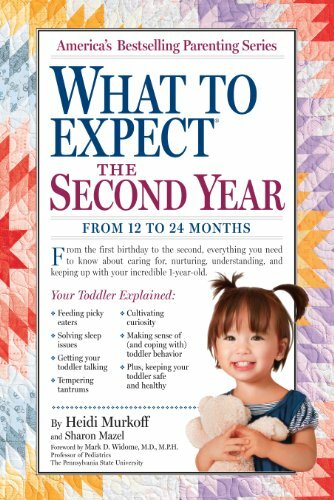 We tried so many various techniques that might ease our son's discomfort (having no idea what caused it), until eventually we ran out of ideas (from every online mommy forum and book we could get our hands on). I vividly recall a hot September day when we suddenly decided this might be the last hot day (especially in Canada), and that we should go to the beach, regardless of the car seat situation. I think that was the day we somehow 'broke' the crying after a 2 hour trip and were able to travel happily again in the car seat. But now we have moved into the toddler years. While at first things were moving smoothly, somewhere between 15- 16 months old, things took a turn for the worse in relation to the car seat again. Despite knowing that our little one would want to become more independent, we weren't prepared for this new milestone with the car seat (and occasionally also with agreeing to get back into the stroller to go home from errands). Our kiddo is big for his age - the 97th percentile for height, to be exact. And he is strong. So these moments of resisting the car seat that involved back arching, kicking, arms flailing, crying fits that suddenly showed up were not only physically hard to manage, but quite emotionally challenging as well. Likely one of my biggest takeaways from this phase of my child's development is the importance of paying attention to and reacting appropriately to his emotions and how significant at this young age it is for us to model our coping mechanisms to them so they can have a healthy sense of self (Gillespie, 2014). One thing about toddlerhood that is different with the car seat hatred is our awareness that our little one's distress is really about not liking the sensation of being constrained and controlled. He's voicing his desire to be free, independent, and to be able to use these newfound skills to move around and explore. He is aware that he is now able to communicate with us and make his opinions heard. The challenge with tantrums is that most parents don't want to have to deal with these highly emotional outbursts in public - but with car seat conflicts, or even with the stroller, they will happen anywhere you go (almost always outside of the home environment). That is the nature of going to places! We need to remind ourselves to not try and quickly resolve the car seat situation as it unfolds, but to work through the steps and strategies that will help our little ones understand and accept the process, regardless of who will hear and see the tears and flailing fists. Meredith Gillespie (2014) offers some humbling advice to parents about working through these emotional situations with our children in her article 10 Ways to Foster Healthy Emotional Regulation. She also reminds parents of how these situations can take a toll on ourselves as we watch our child come to terms with their feelings and encourages self care as we work through these times of transition and growth. Since I am still at home every day with my little guy, each time we want to go a program (which is often), I now encounter the dreaded car seat scenario. In recent weeks though, I've found myself avoiding going out when it's not necessary simply because of the car seat battle. I've never been that person. Even when we were trudging through the sleep deprived trenches in the early months, we always went out to at least a few programs each week. So it's decided - as of this past week, we are changing our car-seat wrangling game after doing some research (sources will be noted both throughout the post and at the end). We have started trying a few new strategies, which I'm share below; some of these we had already implemented, working well at times, and not at other moments. It would also be fair to say that depending on the many complex factors that affect our toddlers, they may respond well to some strategies at particular moments in time, and others when they are in another emotional state. So It's always best to come equipped with an array of strategies for making this experience go as smoothly as possible. 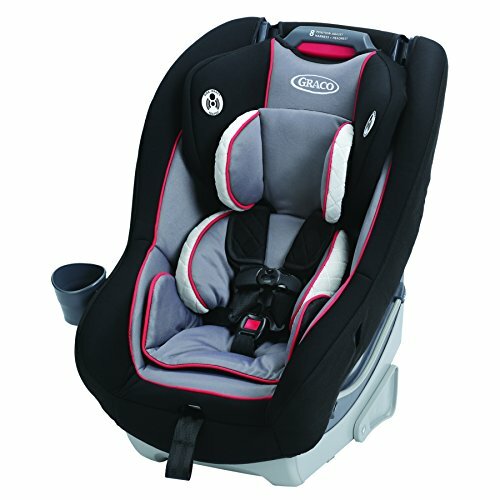 The car seat we currently have is likely the most basic and affordable option on the market. We would absolutely love to upgrade to the Graco Dimensions 65 Car Seat, but we simply don't have a pressing need two car seats at this moment (but my goodness, it's an amazing and compact seat - perfect for small cars!). That being said, our no-frills Cosco Scenera Next has passed rigorous testing in Canada and was a perfect option for a bucket seat when our big-little guy outgrew his infant car seat (at 9 months old!). We regularly visit a certified and insured Child Safety Passenger Technician (about once every eight months or so) to make sure everything is installed properly, and also chat about next options for car seats. For something as simple as this, where a car seat installation lesson is not required, our technician only charges $15 for our appointment and we always walk away with great information or upgrades. The last time we visited her not only did she size up our small car and let us know that really the Graco Dimensions was really our only option if we continued using our current vehicle (plus our guy loved it when he tried it out), but she also gave us a free click and lock kit to help hold our Cosco car seat in place better in the upright position for toddlers. Prior to this, it keep sliding back into the reclined bucket seat position every time the back-arching tantrums would ensue. Simply having this reinforcement kit installed for when we do have tantrums as we get buckled up is a welcome relief so that we don't need to worry if we need to reinstall or adjust the seat to make sure it is safe. We also confirmed that the seat still fits him well for the next little while, and know what our next steps will be. Talk aloud to you toddler about your plans for the day. It will also help you as you plan out how much time you will need to get ready. A post by Visible Child reminds us that ensuring that you pace yourself and leave ample time to get ready helps to set a positive tone, and also ensures that you feel relaxed and are able to communicate effectively with your toddler. Let them know a little while in advance when you plan to be going somewhere so that they are aware of what will be happening and aren't taken by surprise when you get into the vehicle and need to buckle them in. Keep in mind that one of the toughest things for toddlers to adjust at this point in their development are transitions, so you can imagine how upset they get when these appear suddenly and without explanation! Janet Lansbury's article (link here) talks in detail about the importance of detailed communication, letting kids know when there is time to play in the car (or not), making purposeful eye contact when you speak to them, and acknowledging their feelings when they are upset about being confined (which is necessary to safely go somewhere in a vehicle, even if all of the additional strategies don't provide a smooth car seat entry). Lansbury's article is definitely an excellent one to read over and help us fine tune our parenting communication skills. Distractions are where it's at with many things in toddlerhood these days. Try having a handful of small toys available in the car that are only for amusement when in the car seat. Like many of the approaches, depending on the day and their mood, this my or may not work. Regardless, it doesn't hurt to have a few small things at hand. Like many toy stations in our home, I find if I keep rotating which toys go where, it builds greater interest. I would also suggest rotating the car toys as well. If it works, what's not to love? Another approach we have used is turning on music as we enter the car on our cell phones, and allowing our little guy to explore for a little bit (until the end of a song), and then he generally knows that it's time to sit into his seat (sometimes this fails also, though). I do find that even if I have to make him sit in his seat, that within second after getting buckled in, the music does help to relax him. He does have preferred (kids) music choices too - some of which I talked about in my Favourite Baby Products: 12 to 18 Months post. Also, try having a conversation with your little one about what your plans are with them for the rest of the day. Ask them questions for recall like what sounds certain animals make, or what colour they are wearing. Even though my little one isn't fully into talking or recall yet, there are a few key questions or phrases I know he will recognize and respond to. Use what works for your kid! If all else fails, not getting your little one into the seat is not an option. To move past the back arching and resistance to a sitting position, try tickling them and their body will fold into the seat where hopefully you can quickly snap on at least one belt, and shortly thereafter a second one to restrain them. I know for this option things are likely elevated as I've tried all the other strategies first, so I need to be lightening fast at this point. Once they are safely in their seat, talk to them and acknowledge their feelings bout being restrained. Remind them again it's for safety. Have you been experiencing car seat conflict as well? Are there any tips or ideas you can add to this list? Please comment below - I'd love to hear from you.